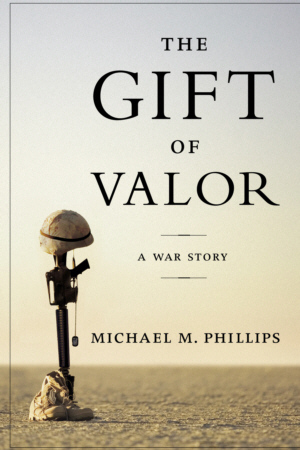 Based on a front page Wall Street Journal article that readers called “extraordinary,” “profound,” and “gripping,” this is a powerfully affecting chronicle of a young Marine who sacrificed his life for his comrades-and became the first American nominated for the Congressional Medal of Honor during the Iraq War. Obscured by the ideological fog of war is a basic fact: Every day ordinary young Americans are fighting and dying in Iraq, with the same bravery, honor, and sense of duty that have distinguished the best American soldiers throughout history. One of these was Jason Dunham, a Marine corporal from the one-stoplight town of Scio, New York, whose stunning story reporter Michael M. Phillips discovered while he was embedded with the Marine infantry battalion in the Iraqi desert. Corporal Dunham was on patrol in the town of Husaybah, near the Syrian border, on April 14 when a black-clad Iraqi leaped out of a car an grabbed him around his neck. Fighting hand-to-hand in the dirt, Dunham saw his attacker drop a grenade and made the instantaneous decision to place his own helmet over the explosive in the hope of containing the blast and protecting the men beside him. When the smoke cleared, Dunham was lying facedown in his own blood, shrapnel embedded in his brain, and his Kevlar helmet was shredded. The Marines next to him were seriously wounded, but alive. Dunham became the first soldier in Iraq nominated for the Congressional Medal of Honor, the nation’s highest award for military valor. If the President approves it, Dunham act of courage will be the first to merit the Medal of Honor in eleven years. Philips’ minute-by-minute chronicle of the chaotic fighting that raged throughout Husaybah and culminated in Dunham’s injury provides a grunt’s-eye view of war as it’s being fought today-fear, confusion, bravery, and suffering set against a brotherhood forged in combat. His account of Dunham’s eight-day struggle to make it home alive and of his parents’ decision to remove their son from life support vividly illustrates the cold brutality of war and the fragile humanity of those who fight it.